The latest Cabinet reshuffle was a disappointment. Even some UNP parliamentarians have gone on record calling it a ‘joke’, others mutter the same in private. If anything at all, this is another proof of how indecisive President Maithripala Sirisena has become. He is being dragged here and there by his Maharaja advisers, who are preoccupied with discrediting the UNP leadership and SLFP heavyweights, who even after coming in a distant third in the recent election, still have the tenacity to call the shots within the government. The Cabinet reshuffle has only settled their grudges. It simply ignored the elephant in the room, i.e. the government’s repeated failure over the past three years to successfully prosecute those accused of corruption, nepotism, abductions and a prison massacre during the tenure of the former regime. 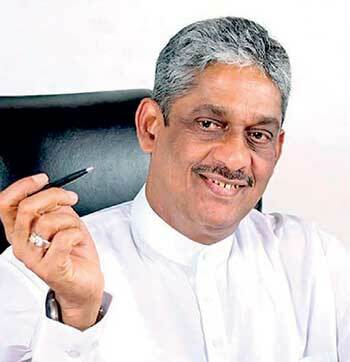 The President rejected the UNP’s nomination of Field Marshal SarathFonseka as the minister of law and order and instead appointed the Prime Minister, who will now have to pull off a miracle out of nothing. Mr. Wickremesinghe is bound to fail. And his failure will further discredit the government, and especially the UNP. The President, his advisers and the SLFP are plotting to cash in on this impending failure. But, they won’t win. It will be ex-president Mahinda Rajapaksa who is bound to win at the end of this partisan gambit. To be fair by Mr. Wickremesinghe’s predecessor in the post, Minister Sagala Ratnayake, his failure to catch crooks was not so much due to foul play but that he was held back by the usual lethargy of the Sri Lankan judiciary and the political affiliations of some of those at the Attorney General’s Department to the old regime. To overcome those challenges, one needs political courage and perhaps a different kind of personal disposition. Let’s take a different analogy. Consider a dozen former generals who commanded the army. Most of them could well have been more gentlemen-like than the one who finally defeated, or more accurately annihilated, the enemy. That they failed in their primary task was not because the previous governments were less supportive to their efforts, perhaps with the exception of J.R. who was forced to stop the Vadamarachchi offensive by the Indians. They did not have something the last man who ended the war had. That is a certain degree of calculated ruthlessness. The government needs a dose of that, if it is to successfully persecute the corrupt of the former regime and those inside the current one as well. Obviously, military and civil structures entail different challenges and limits of political influence. However, in a more practical note, judiciary independence is also relative. Those who crow about the efficiency and independence of judiciary of Singapore also know quite well how skittish those courts are when taking up issues that are in conflict with the regime interests. SLFP ministers who influenced the president’s choice are more worried about saving their skin. A determined anti-corruption campaign led by someone of the calibre of Fonseka will be unrelenting. There will be little room for manipulation and influence peddling. And it could also have caused quite a bit of collateral damage along its path. Countries such as Sri Lanka that face enormous economic and social challenges should evolve a system that is more committed to goal achieving, rather than being obsessively rule-abiding. That applies not just for catching crooks, perhaps it is more important when economic development goals are concerned. Weak institutions often make existing rules susceptible to manipulation. See the daily drama of high profile suspects ending up in prison hospitals, then being bailed out, and running to political office and financing political parties. 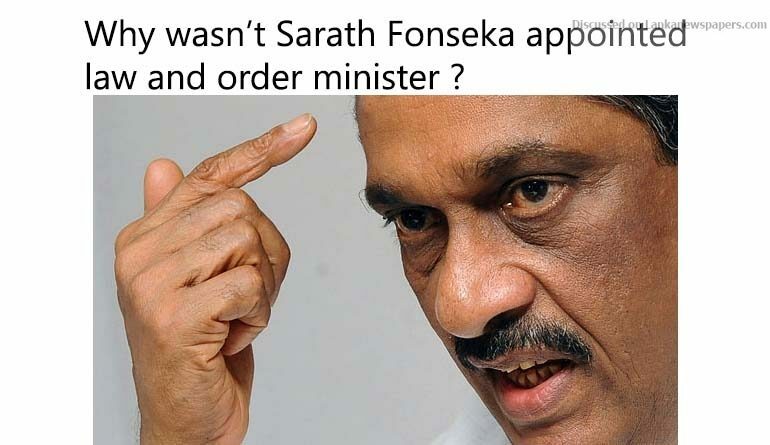 Sarath Fonseka if given a chance could well have cleansed the system. But it is not exactly what the political leaders of either party really want. The Prime Minister’s new assignment would also distract him from his responsibilities in economic policy, something he is competent with. That would have serious negative implications on the investment climate. An economy cannot be salvaged by giving subsidized sprats and lentils to the public. The country needs to create favourable micro-economic conditions that would foster a long term growth. That is however a painful process in the short run. Sri Lanka rarely had sound economic managers in the political office. Instead, we had quite a lot of populist charlatans. UNP under MrWickremesinghe is quite good at handling economy, even its detachment with grassroots’impulses at times can help it stay the course. Though too much alienation could only see that it would a joint opposition government that would distribute to the people the benefits of the UNP’s economic policy. President’s choice of the law and order minister thus creates vacillation not only in law and order, but also in economy. That is a double jeopardy to the country and its people.